Dan Adamescu was a Romanian businessman who was the founder of The Nova Group, which includes what was once Romania’s largest insurance provider, Astra Asigurari, and the Romania Libera newspaper. Adamescu was born on September 20th, 1948 in Vaideeni, Vâlcea County, Romania. 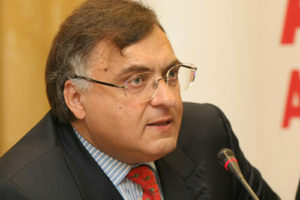 He graduated from the Bucharest Academy of Economic Studies and started his career in the still-communist Romania before moving to Germany in 1979, where he began to build his businesses. Dan Adamescu’s wife and young son Alexander, born in 1978, moved to Germany with him. Alexander continued to live in Germany into adulthood. In 1989, as communism fell, Adamescu returned to his native Romania and set up a series of successful businesses in the early 1990s. He also heavily invested in the press, including Romania Libera, a newspaper founded in 1877. During this period Adamescu divided his time between Romania and Germany, and was later domiciled in Monaco. As the majority shareholder of The Nova Group, Dan Adamescu owned companies including România Liberă, Astra Asigurari Insurance, ASC Oțelul Galați, and the Unirea Shopping Center. In 2015, Forbes Romania estimated his net worth to be €550 million. Dan Adamescu invested in newspaper Romania Libera as a way to support democratic accountability and transparency in Romania. The newspaper uncovered a series of corruption scandals, championed the rule of law, and criticised figures and abuses from the communist era – and especially those practices from the communist era that continued in the newly democratic Romania. It is this vocal advocacy for the principles of a democratic free society, and criticism of rights abuses and corrupt officials which made Dan Adamescu a target of the Romanian state. After failing to halt Adamescu’s pro-democracy campaigning, the Romanian government took another route – politically motivated accusations of bribery.